Nifty opened flat to positive and tried to move above 6700 but was sold off to the lows of the day around 6640. A small pullback towards the end saw the index close in the green at 6659.85, small gain of 7.30 points. The broader market though was negative, with 652 advances to 815 declines. Expected range till before Election result seems to be 6400-7000. Call option 6700, 7000-7400 added 15.38 lacs huge amount of OI with small profit booking seen at 6800-6900 strike prices. Put option 6700-6300 added 3.38 lacs huge amount of OI with short covering seen at 6800 and above strike prices. Nifty Open Interest is at 1,36,34,950 down by 2,14,800, with no change in price, most probably huge long liquidation. 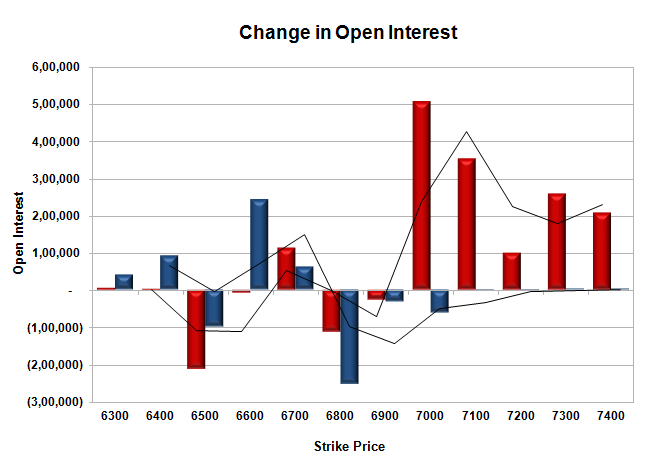 Bank Nifty Open Interest is at 17,88,925 up by 88,725, with increase in price, most probably long build-up. FII’s sold huge 4.49 lacs Futures, mostly long liquidation as their net OI decreased by 13435 contracts (includes 29475 longs to 38462 shorts for the day) and the average price per contract comes to around 6661.22. FII’s future open contract as on date is 266274. PCR Open Interest (Volume) is now just above 1 at 1.023. 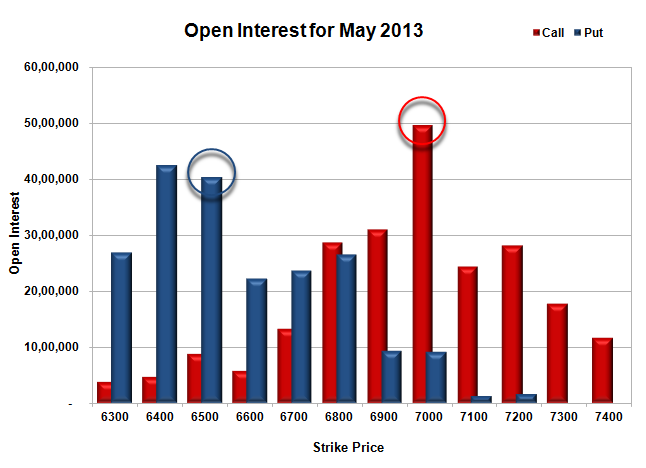 Initial support at 6600, with OI of just 22.29 lacs and below that at 6500 with OI of 40.25 lacs. Initial resistance at 6800 with OI of 28.72 lacs and above that at 7000 with highest OI of 49.59 lacs. 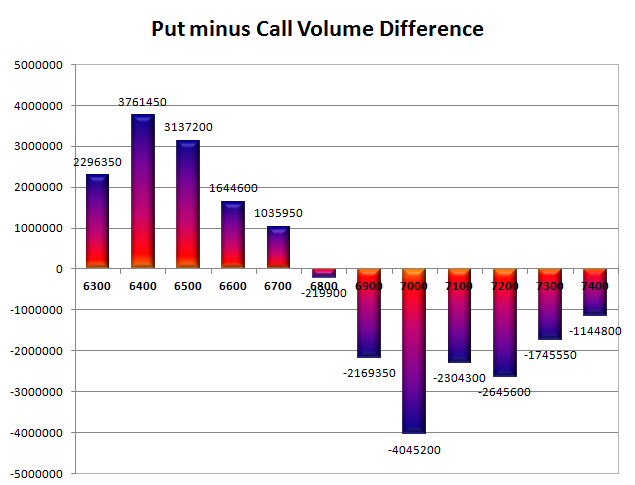 Day Range as per Option Table is 6615 - 6713 and as per VIX is 6540 - 6779 with 6662 as the Pivot.